This is a 2 days 1 night trip from San Diego to Julian, Anza-Borrego State Park, Palm Spring, Salton sea, and back to San Diego. Day 1. San Diego. 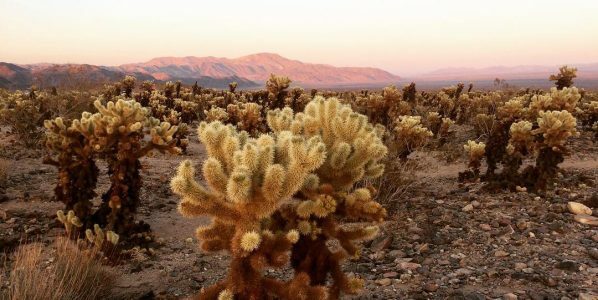 Anza-Borrego desert. Palm Spring. 9AM. We left San Diego following Interstate 8. Traffic was not bad at all. There were some horses on a ranch so we stopped to get some photos. Our dog, Koda, was so excited to make some new friends. Usually, he is not a fan of other big dogs, so we were a little nervous at first. Surprisingly, Koda did really well. He even kissed his new friend. Since he is a cattle dog, we always joked around that his dream life is living on the farm chasing those sheeps and horses all day long. Guess that is true. 10:00AM. Having enough pictures, we continued with our trip. In about 40 minutes later, we made a second stop at Julian Pie company for some delicious apple pies, apple cider donuts, and apple cider. They were absolutely delicious. Our drive after Julian pie company was pretty easy. There wasn’t many car on the road. Just rocks and rocks everywhere. We entered the park around 11:30AM. The view was spectacular. Of course, it’s my selfie time. The most popular things in Anza-Borrego are the giant sculptures placed around the park. They also have super blossom around March. I’ll come back this year and to take some pictures of the wild flowers blossom. It was really hot so we did not want to stay any longer. Also, dogs are not allowed on some trails so we just continued to drive to Palm Spring. Poor Koda! It was too hot. 3:00 PM. We were finally at Palm Spring. We have not had anything in our stomach since Julian Pie company so we’re starving. I had some food at a dog friendly restaurant in town. Forgot its name though. After a big meal, we checked-in at a hotel that we found on Groupon. It was a really good deal. We didn’t even get to the room because it was only 2.5 hour until sunset. Jumping back in the car, we started to chase the sunset at Joshua Tree. There was a huge cactus field inside the park. It looked so amazing in the golden hour. Back to the hotel around 9PM. We hung out by the pool and ate Taco Bell food because most restaurants were closed. That was a long but fun day. Now, we needed to sleep to be ready for the adventure tomorrow. See you tomorrow.